After 1000’s of crunches and seven brutally intense ab workouts per week, you’d think that it would all add up to that one coveted, magic number — 6. It’s sad and discouraging when someone puts in a TON of effort to sculpt a rock-solid, well-defined set of six pack abs, yet the results are nowhere to be found. It can be unbelievably deflating. What’s an innocent, ab-happy person supposed to do? One of the most redeeming things about fitness in general is that there’s typically a direct correlation between time, effort, and results. It’s a simple equation — if you do cardio 45 minutes per day, 6 days per week, you will lose a lot of weight. Given that you do the right exercises, if you follow a comprehensive chest routine and increase the amount that you’re pressing over successive workouts, your chest will grow. It’s just the way exercise and training works. Looking at fitness holistically, ab development tends to be MUCH more challenging; bordering on excruciating. I suppose that’s why you don’t see six packs endlessly populating the earth. And the truth is — it’s because most people approach ab training completely wrong and spend their time focusing on things that aren’t effective. Getting a phenomenal set of abs requires smart training, a LEAN, clean diet, and minimal equipment…not ab workouts 7 days per week, ridiculous ab machines, or crunch, after crunch, after crunch. If you’re used to asking “how can I get an amazing set of six pack abs! ?” we’ve got answers. Below are the top 5 reasons why your abs AREN’T growing. 1. You Can’t See Them. This might seem brutally obvious, but at the core (no pun intended) the most important — and fundamental — piece of ab development is being able to see them. I don’t care if you can do the ‘Plunging, Deep V, Lower Abs Workout‘ 18 times over. If your body fat % isn’t low enough no one will be able to see what you’re packing underneath. 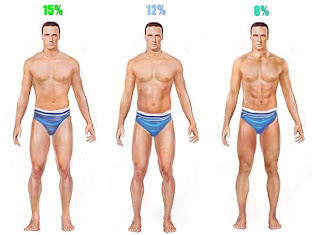 For men, body fat should be sub-10%; for women it should be sub-18% for the ab muscles to really pop. If you want to get your body fat down to 6-pack levels, make sure to incorporate a solid dose of high intensity cardio and emphasize a healthy, LEAN diet.